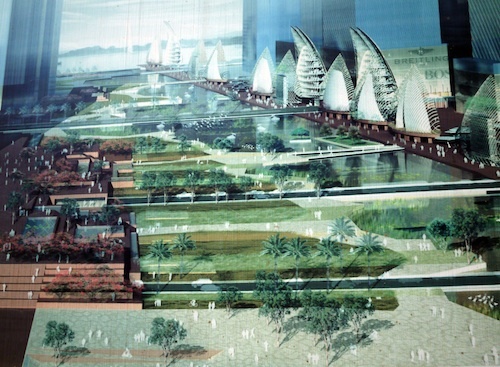 Representing transitioning urban space in Vietnam. Old neighborhoods in Asian cities are being replaced by new spaces that extend both vertically and horizontally. This set of photos examines this phenomenon through two layers of representation. The first layer reveals the Vietnamese government’s agenda in its pursuit of progress and modernity. 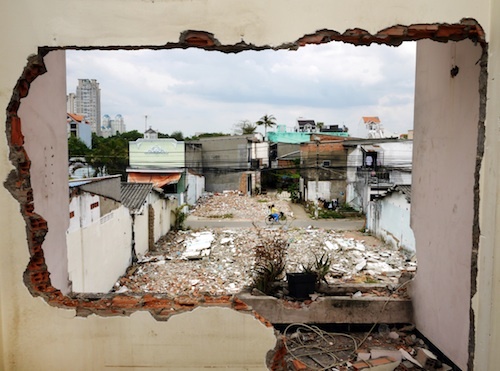 The second layer is my photographic representation of urban ruins and how they outline the stark contrast between visible reality and the projected imaginings of Vietnamese government officials. Thu Thiêm in District two, a seemingly ordinary and under-populated neighborhood of seven hundred and fifty hectares, was built on marshland on the banks of the Saigon River in Ho Chi Minh City (Vietnam). Directly across the river is the commercial, economic and tourist center of the city (District one). 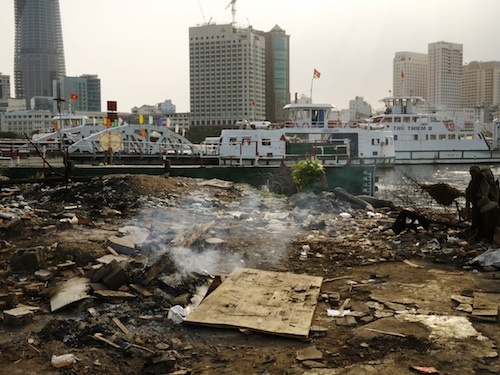 Thu Thiêm has been slated to become a New Urban Area (khu dô thi moi) that will become the financial center of the southern metropolis, a business district envisioned along the lines of Pudong in Shanghai or the Central Business District in Singapore. The master plan approved by the Ho Chi Minh City People’s Committee envisages a truly modern city which will usher in prosperity, modernization and international recognition. It boasts of several ten- to forty-storey buildings, a 300-meter tall telecommunications tower, offices, residential quarters, an international conference hall, an entertainment resort, shopping malls, large roads and public parks. Five bridges (one already functioning) and a tunnel (recently inaugurated) will connect inner city districts of central Ho Chi Minh City to this business center. Figure 1: Thu Thiêm (bottom), the Saigon River (middle), and the commercial and economic center of Ho Chi Minh City (District 1, top). 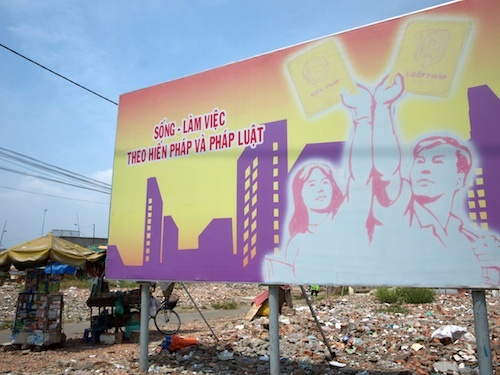 Figure 2: Billboards presenting digital images of the envisioned cityscape of Thu Thiêm have been erected in strategic places. In contrast to the gleaming and prosperous images of skyscrapers encoded in Communist propaganda on the billboards erected by the local People’s Committee, Thu Thiêm appears to be a strange, abandoned landscape. Houses seem to float on a sea of rubble, abandoned furniture has been re-appropriated by invisible hands, waste has been re-fashioned into functional items, and new plants sprout in debris-littered plots. Amidst all this, petty trading, religious activities and everyday life continue for the remaining residents. Figure 3: A worker is demolishing a house manually. The Saigon Pearl development, which was completed in 2009, is in the background. 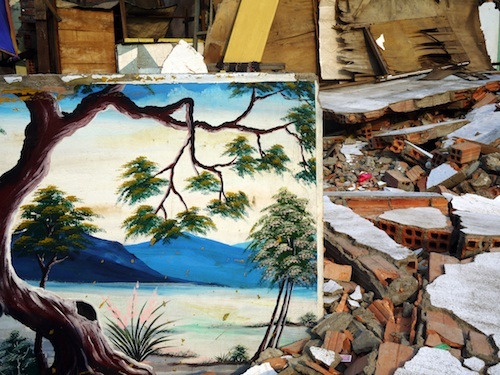 Figure 5: Old furniture is recycled and placed in the empty spaces left by demolished houses. Figure 6: Abandoned wood is recycled and made into a fence to prevent entry into the plot of a demolished house. At first, I was fascinated by the discovery of this visually disturbing urban landscape. I wondered how to frame the photographs in a way that would express the sense of surrealism that I felt. How would I represent this apparently apocalyptic scene, reminiscent of the recent earthquake and tsunami in Japan, without falling into the imagery of war and destruction so familiar to Vietnam? How would I illustrate astounding spatial and social changes to make them legible to the viewer? Lastly, the question of the political involvement of photographic production came into play. At what point does the photographer move beyond being merely a witness to becoming a critic of violent restructuring processes that work against the interests of the dispossessed? I found that the two genres of fine art and documentary photography overlapped in this strange place that is Thu Thiêm. Photo 7: View from the upper room of a house partially demolished. 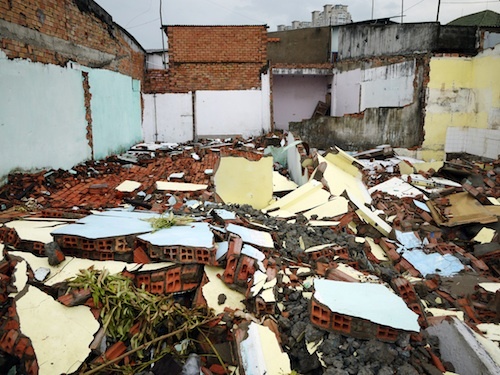 Figure 8: Colored blocs, made of bricks and cement, are left over after a demolition. Figure 9: Remnants of stairs in a partially demolished house. I began by observing the mix of shapes and colors, volume and mass, texture and luminosity that were strewn everywhere in the scene as well as in the viewfinder. This mixture seemed to form a living organism in which broken bricks, cement, stone, glass, electrical cables, and other detritus were jumbled together to form visual signs that created a chaotic and dreamlike picture. 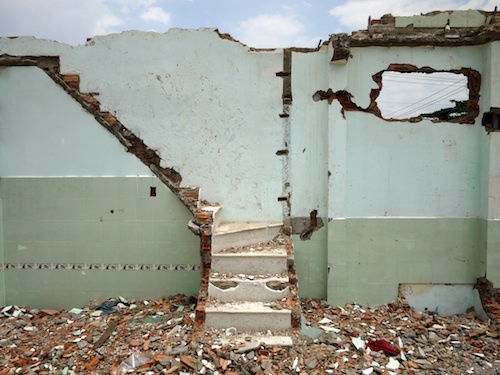 This formed the visual setting for my photographic representation of the invisible social processes that unfolded during the destruction and reconstruction of Thu Thiêm. 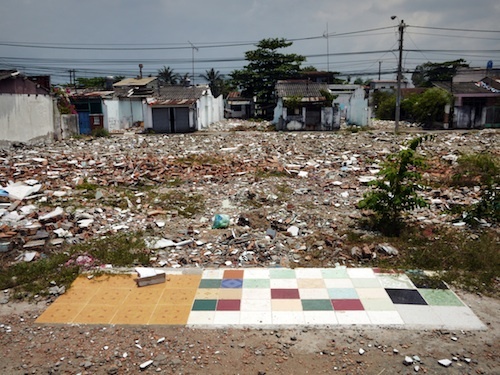 Figure 10: A painting is abandoned amidst the rubble in the plot of a demolished house. 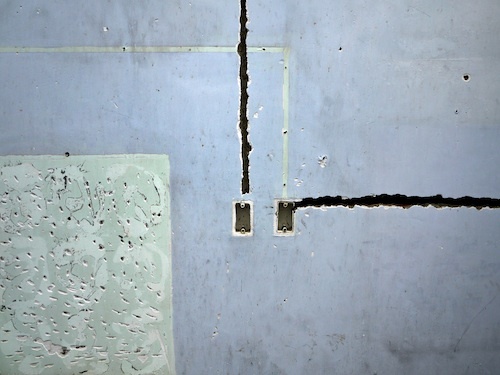 Figure 11: Traces of electric cables in the wall of a partially demolished house. While walking around the neighborhood, I felt that it was strangely quiet, as if life was in a state of suspension. An uneasy calm barely concealed the underlying tensions between urban planners and Thu Thiêm residents. The challenge resided in unveiling the invisible, which is located in marks and traces, frames and spaces, words and symbols. In so doing, I discovered that these signs made elements of two separate temporalities visible: that of the developers who control the different stages of deconstruction and construction, and that of the residents who must resign themselves to a new life elsewhere. 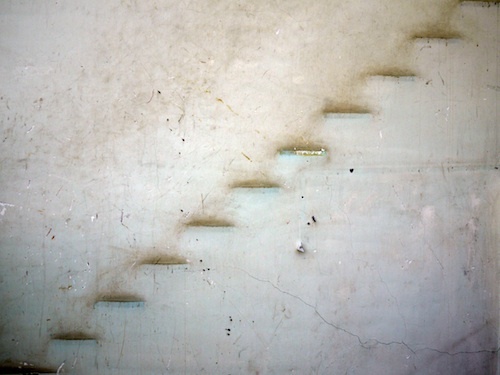 Photo 12: Traces of stairs in the wall of a partially demolished house. 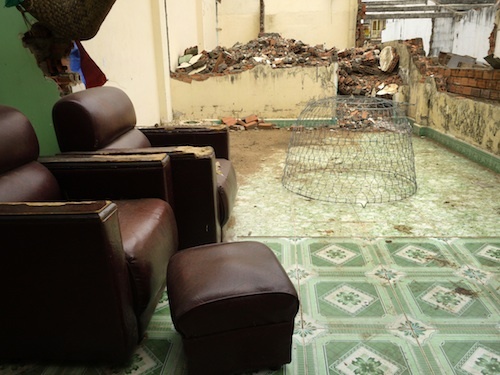 Photo 13: Images of Vietnamese models and Hollywood actors (Pierce Brosnan and Arnold Schwarzenegger) have been left on the walls of a partially demolished house. 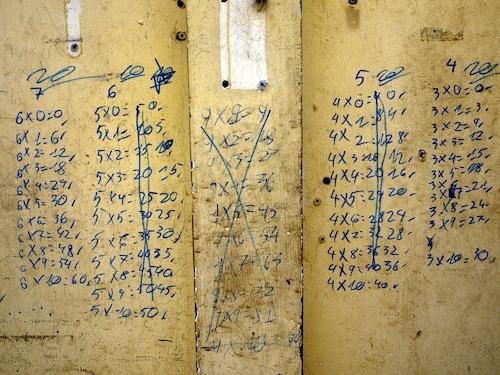 Photo 14: Traces of words and children drawings on the walls of a partially demolished house. 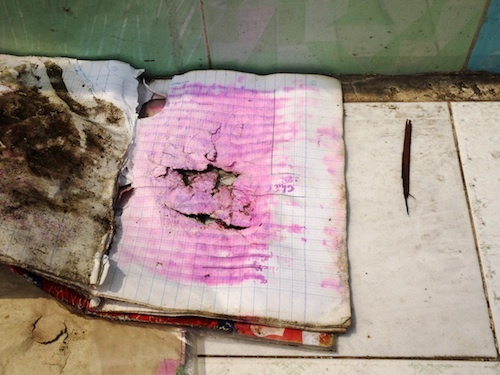 Figure 15: A discolored schoolbook is abandoned in the ruins of a demolished house. After considering the invisible elements — time and negative space — I realized that my photographic representation moves primarily in one direction, from a Western photographer to an a priori Western viewer. Indeed, the residents of Thu Thiêm are doubly excluded: they are not the intended viewers nor are they present in the photographs. Moreover, I felt that the inequality in relations between the urban planners and the residents is replicated in the photographic process since, in both circumstances, the voices of the residents have been muted. 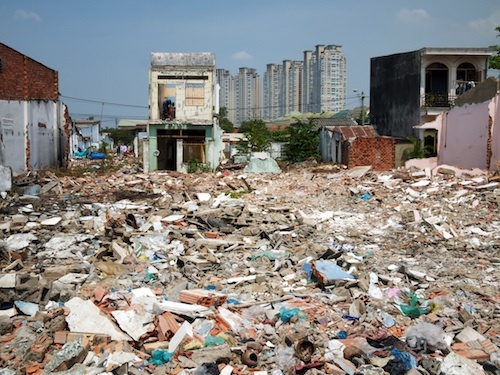 Ultimately, the photos do not show how Thu Thiêm residents perceive their lives in a rubble-strewn environment, nor do they provide opportunities for them to express their viewpoints. Ironically, in attempting to unveil the invisible, I rendered the residents invisible. Figure 16: Leftover tiles are re-appropriated to assemble a new floor. 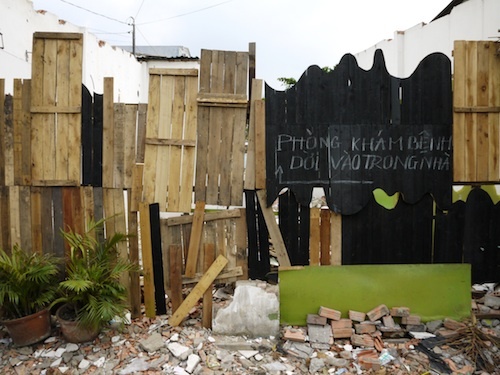 Ce projet interdisciplinaire entend explorer la transition urbaine dans le Vietnam contemporain. Le regard est porté sur le quartier de Thu Thiêm, une terre de marais sous-peuplée située en face de l’actuel cœur économique et touristique d’Ho Chi Minh Ville. Thu Thiêm est censé devenir le centre commercial et financier de la métropole du Sud, un business district à l’image de Pudong à Shanghai ou du Central Business District de Singapour. Le district n’est pas à un paradoxe près. Les images de gratte-ciels et de modernité encodées dans la propagande communiste, symboles de prospérité, contrastent avec ce quartier qui se présente au photographe comme un espace en transition étrange et apocalyptique. « Cartes à croquer » : l’apéritif.